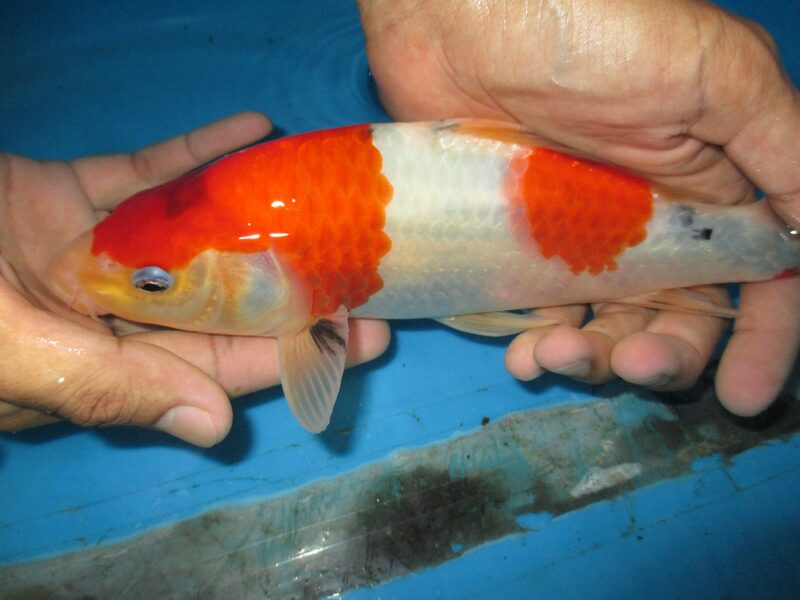 Marugen Koi Farm is pleased to showcase a Marugen bred Taisho Sanke. Possessing a solid body conformation, she has a simple yet pleasing two step red beni pattern, especially the beautifully rounded beni pattern on her head. She also has excellent skin quality with clean-cut kiwa. Her underlying black sumi, evenly spread out along her body, is just waiting to appear from under her snow white shiroji skin, to surface as the most favoured “Tsubo Sumi”, for better contrast and stability. 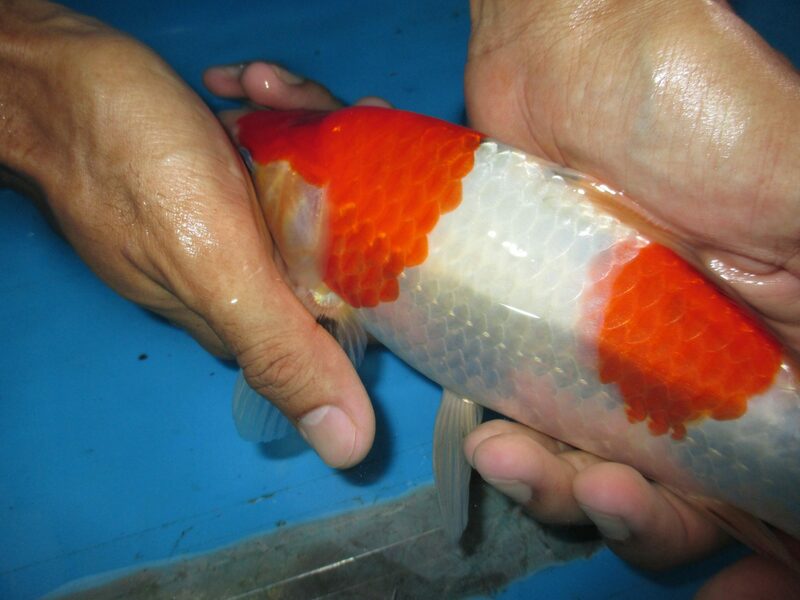 At 25cm in size and only 5 months of age, she is indeed a jumbo Tategoi, and has a potential to develop into a beautiful sanke. 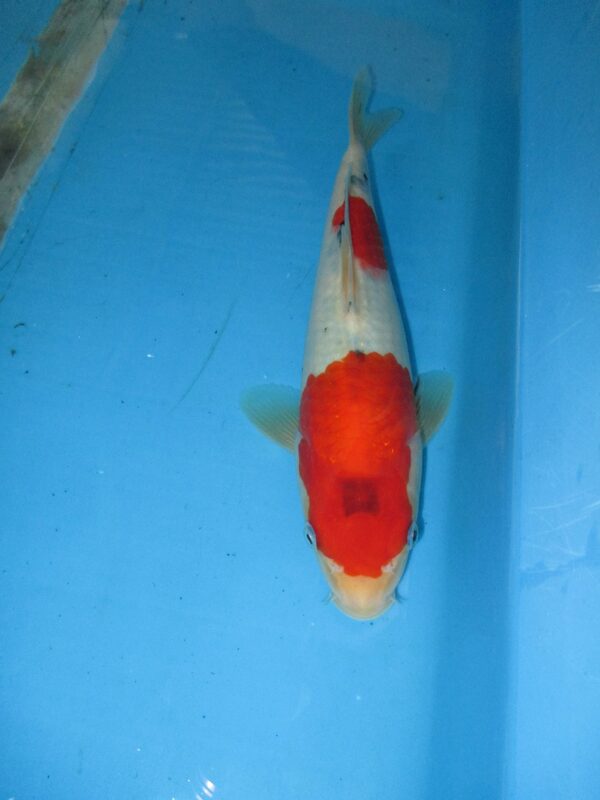 She is an offspring of our female Oyagoi named “M Tanchozuru“, a Tancho Kohaku bred by Sakai Fish Farm. A simple two step beni patterns with evenly spread out tsubo sumi waiting to surface from under her snow white shiroji skin to make her a more complete Sanke! 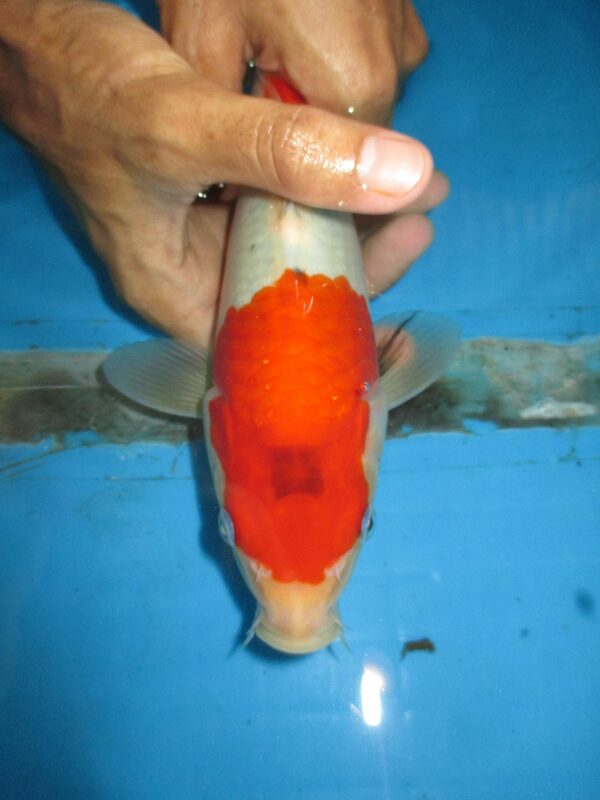 Interested to view this lovely Marugen Taisho Sanke Koi Fish and many more specially selected “M Tanchozuru’s” top offspring picks, please fill in your contact details below, and we will contact you soonest possible to arrange an appointment to visit our farm.